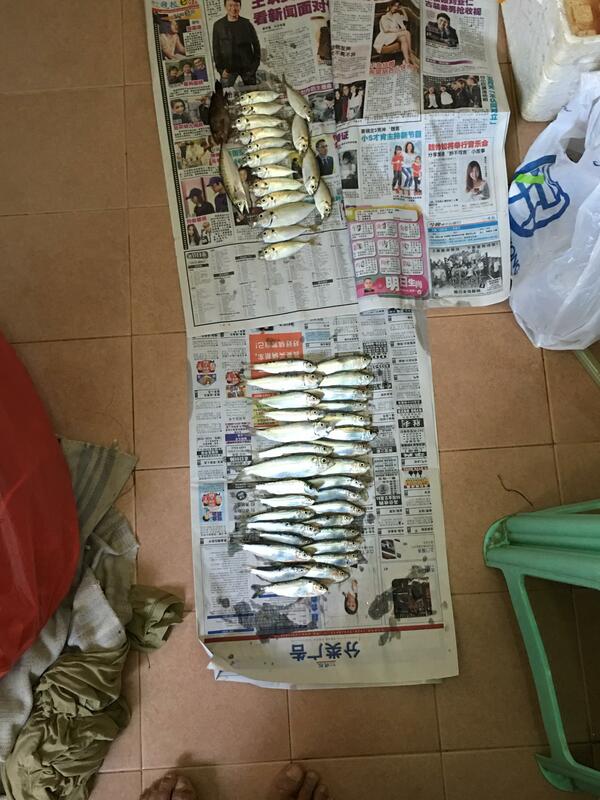 Managed to squeeze some time in the morning for fishing a few days ago hehe. Another rod cast with prawn meat on size 1 hooks... So total 3 rods. Around 10+ am baitfish were starting to quieten down. Decided to hook small prawn meat onto tamban hooks try my luck. Haven't even reach the bottem, fish on! Landed my very first sweet potato hehe. Cast again, another immediate hook up! This one felt heavier, and with one quick dash... Hook straightened. Afterwards they didn't seem to bite anymore haiz. 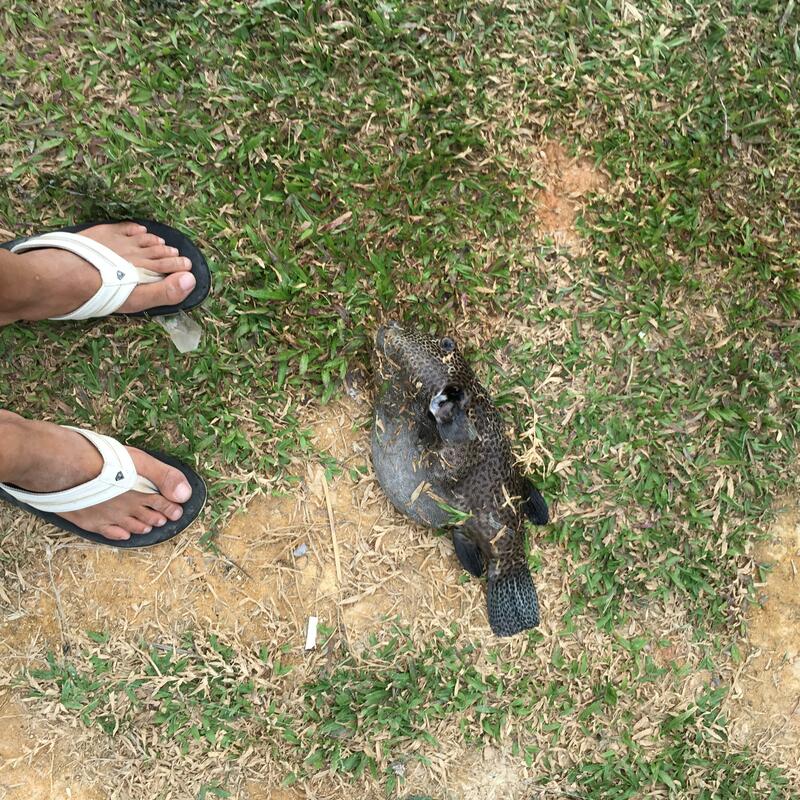 Landed one butterfly whiptail bream that took my hook too deep... alamak die for no reason. Around 12, started to pack up, when tamban hooks with prawn produced another hookup! Good fight on ultra light hehe. 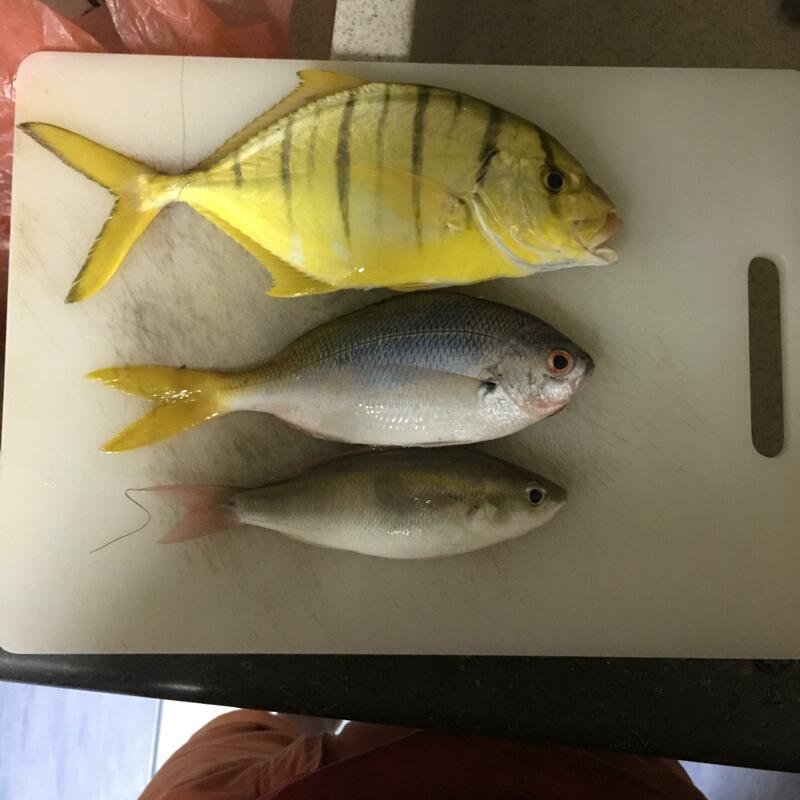 Landed my very first golden trevally. Live bait produced nothing at all which seemed quite unreasonable... No bites or anything. Used LSBF and hooked fish sideways through nostril. Is there a better method to be used? I find that the fish dies much quicker / tend to fly off when casting when hooking the body though! A spot with access to catching bait fish is always a good one! I'm suprised you didn't get a bite on your lsbf. I would hook on the nose when there's considerable current so it can breathe properly facing the current. I'd hook the dorsal method when there's slack current so the fish can swim around easier. You may have high sticked a little too much when you strike or the rod may already been damaged. That lucky fish lives to tell its tale. It even looks like the one I caught a few months back! It certainly does look like a grouper, especially in water. These guys are fearless, I had release them before and they would come back and take your line again.